Shalimar garden was built by Mughal Emperor Jehangir in the year 1619 AD and called it "Farah Baksh" (the delightful). 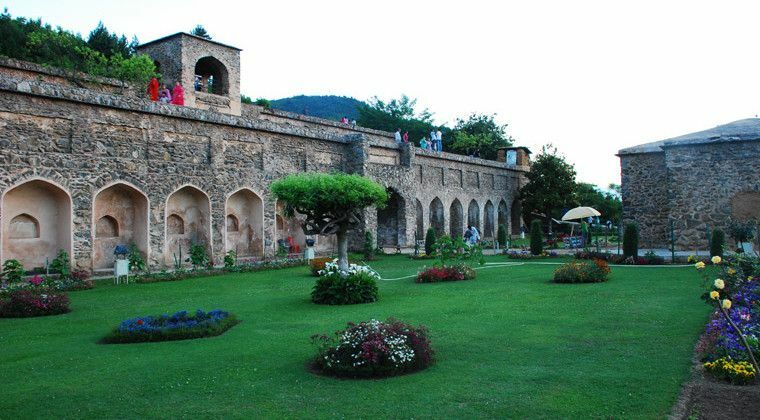 Eleven years later Zaffer Khan the Governor of Kashmir during Emperor Shah Jahan's reign extended the garden and called it "Faiz Baksh" (the Bountiful). The garden was graded in three sections. The outer garden known as the Diwan-i-Aam, the central porrion the Emperor's garden called as the "Diwan-i¬Khas" and the uppermost by far the best garden was meanc for the Empress and her ladies. The romantic effect of numerous fountains in large tanks and central water channel, cascades, and monumental pavilions, mighty chinars, lush lawns laden with colour and fragrance speak volumes for the taste of Great Mughal. The garden covers an area of 12.40 ha.15 kms from the TRC. 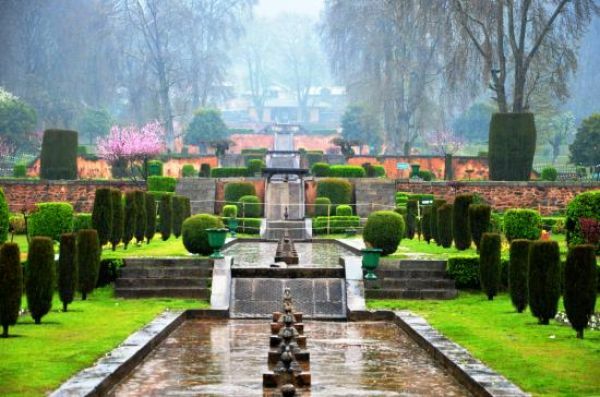 Nishat garden, the garden of Delight, the largest Mughal Garden on Dal-Lake was laid out by Asaf Khan, brother of Nur Jahan, wife of Jahangir, in the year 1632 A.D. It is located on Dal-Lake about 2.5 Kilometers to the south of Shalimar and commands a magnificent view in the west and has a panoramic back drop of mountains in the East. The garden had originally 12 terraces. Enchanting central water channel, rippling fountains in large tanks and channels and sparkling cascades amidst bountiful colours, lush lawns and mighty chinars are principal features of this pleasure garden. 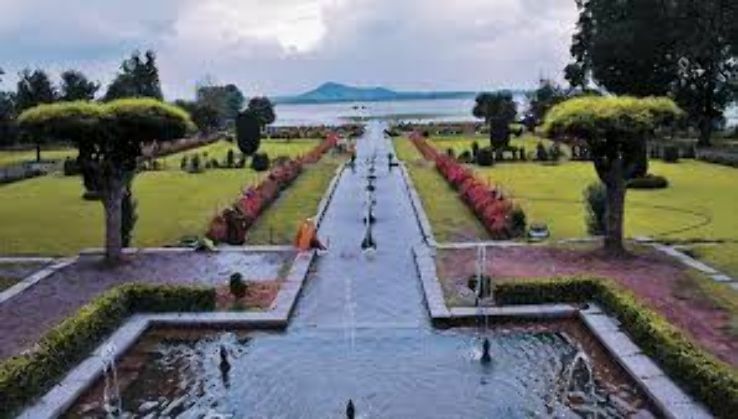 This beautiful landscape garden took birth in the year 1969 on the enchanting Zabarwan mountain slopes near famous Mughal Garden Cheshmashahi, over¬looking the panorama of Dal-Lake. This pleasure garden complex extends over an area of about 80 hectares and consists of several styles of gardens with unending joy for seekers of solace on informal and undulated landscape. It comprises of four components- Recreational Garden, Botanical Garden, Research Section, and Plant Introduction Centre. A beautiful lake spread over an area of 17 hectares with joy riding boats is also the attraction of the garden.Over 1.5 Lakh ornamental plants, representing about 300 plant species have been planted in the garden. 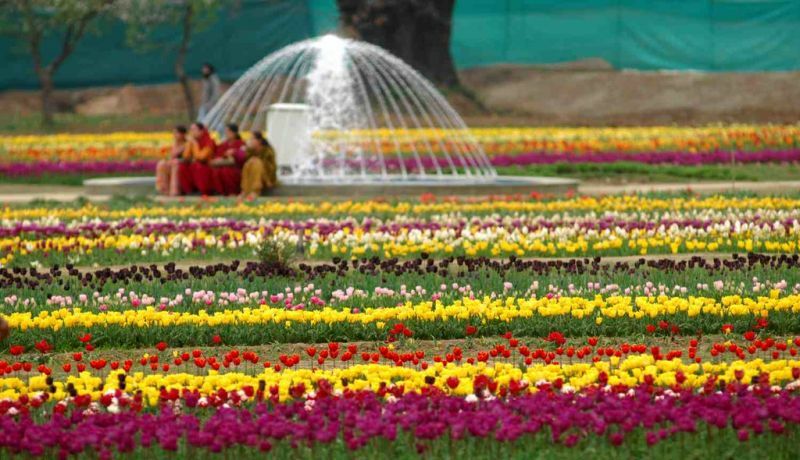 Tulip garden previously named as Model Floriculture Centre, Sirajbagh, Cheshmashahi Srinagar, is spread over an area of about 30 ha situated On the foothills of Zabarwan Hills with an overview of picturesque world famous Dal Lake. This garden was conceived, conceptualized and created by Mr. Gh. Nabi Azad, the then Chief Minister, J&K in the year 2006-07. 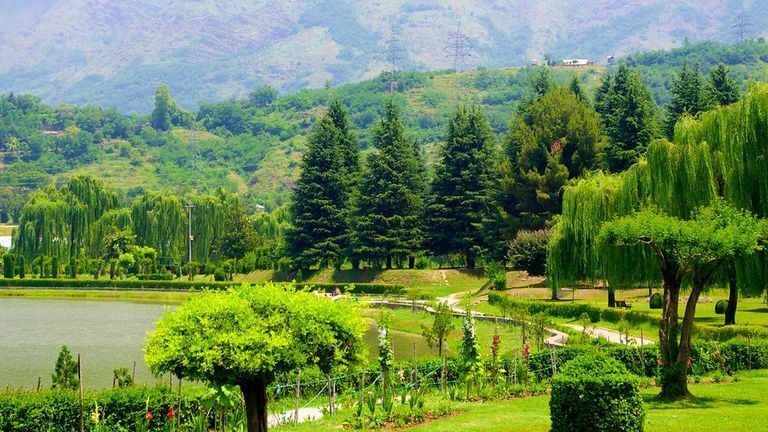 Main aim of this garden is to boost floriculture and advance tourism in Kashmir Valley. 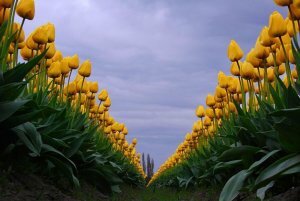 Over 12 Lakh tulip bulbs of 68 varieties of different colours sown during Nov-Dec, 2007 presented a breathtaking view. The name Pari Mahal appears to be a distorted version of "Peer Mahal" built by Prince Dara Shikoh, eldest son of Emperor Shah ]ahan in the year 1640 A.D. for his tutor Peer Mullah Shah. Once the royal observatory, it is a seven terraced garden located on the base of Zabarvan mountain range over-looking city of Srinagar and Dal-Lake.The Mahal Built for the meditation and summer residence of Peer Mullah Shah is a replica of typical Mughal architecture in garden layout, water now been restored to its glory with captivating terraced gardens, motorable road up to the garden and wonderful lighring effects which look marvelous and captivating at night.